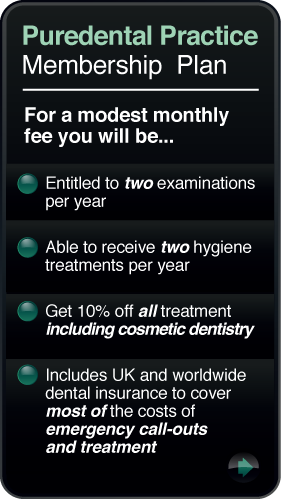 Puredental in Southport offer various cosmetic treatments, including Restylane. Southport East Bank Street: visit us and we’ll be happy to assist and advise you. RESTYLANE is a crystal-clear, non-animal, biodegradable gel based on a natural substance, called hyaluronic acid. The gel is injected into the skin in tiny amounts with a very fine needle. RESTYLANE is available in three tissue-tailored variants, each specially designed for a particular different purpose and effect such as smoothing out tiny lines, shaping facial contours or sculpting lips to perfection. The difference between the products is the gel particle size. To achieve the optimal result, your practitioner chooses the product, or combination, that best matches your skin and personal needs. RESTYLANE is intended for wrinkle correction and lip enhancements. RESTYLANE Touch is used for correcting thin superficial lines, around the mouth, for example, forehead lines and smile lines. RESTYLANE Perlane can be used for shaping facial contours, such as cheeks and chin, correcting deep folds and for the volume augmentation of the lips. Depending on the effects you wish to achieve, the initial treatment is best maintained with occasional follow-up treatments.